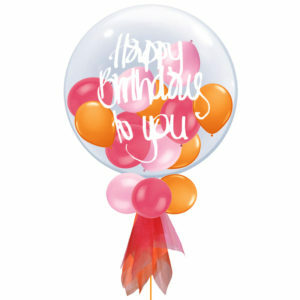 Created with 1 of our extremely popular clear Deco Bubble balloons with 12 smaller balloons inside. 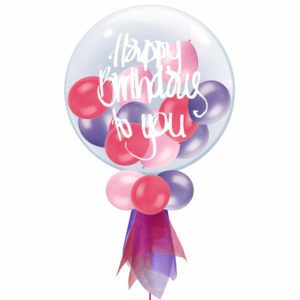 The balloon is finished with a balloon collar, matching organza and ribbon. 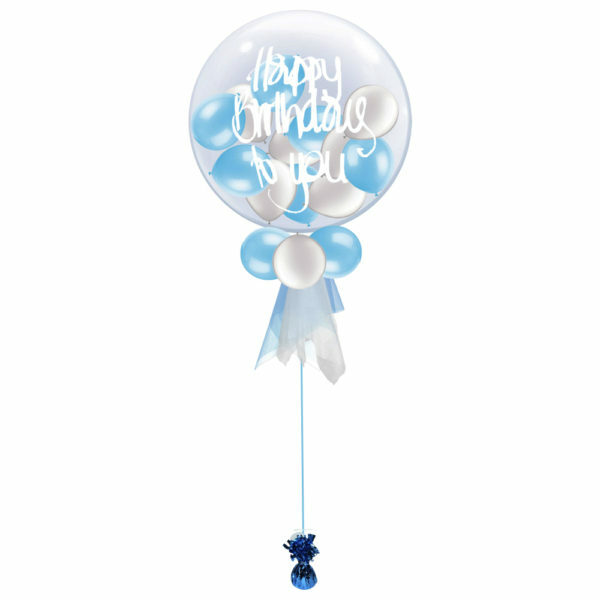 We are able to personalise the outside of the balloon with a hand written name or message – please include what you would like to have written on your balloon in the message box with your order. 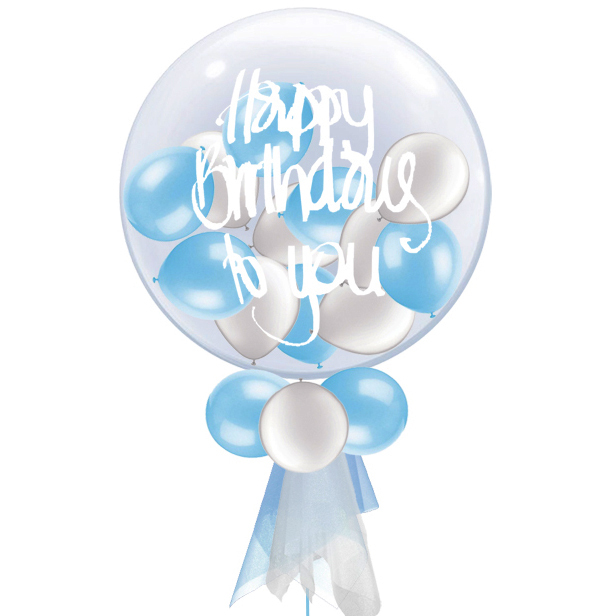 We recommend no more than 5 words. Simply fill in the details above & we’ll guarantee this hugely popular balloon arrives on-time, inflated and wrapped in one of our very own perfect gift boxes. 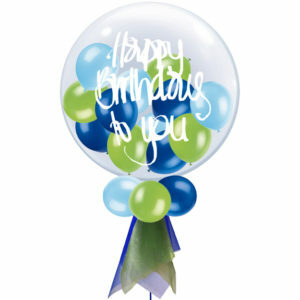 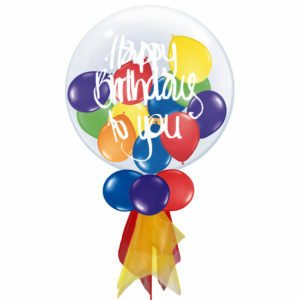 Each balloon is 24″ in size and attached to a matching colour ribbon and foil weight.